I’m sure you’ve seen them at trade shows. Murphy beds have been around for years and as you can imagine, they are a great asset to your home. You’re probably wondering why would I want one in my home? 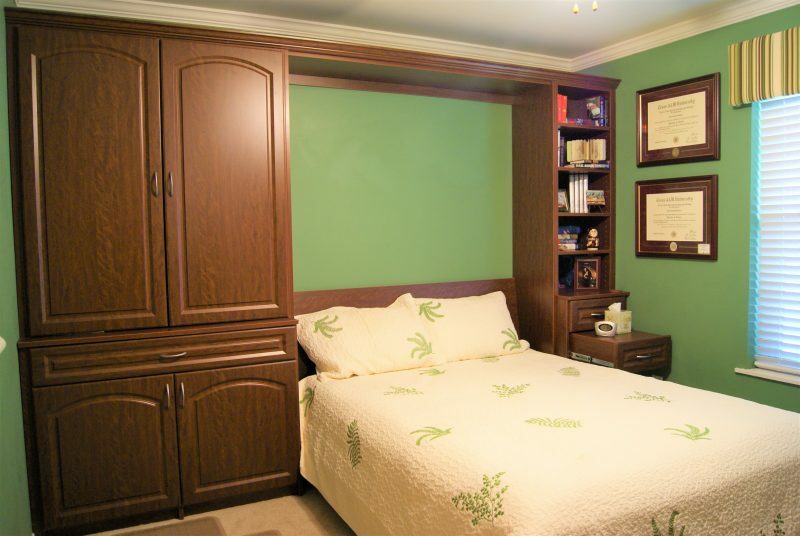 Whether it be in your house, condo or cottage, let me explain the benefits of a Murphy bed. Murphy Bed hardware tucks away on a wall and only comes out for use when you truly need it. This allows you to keep a full-size bed in your home without loosing the footprint a normal bed would utilize. 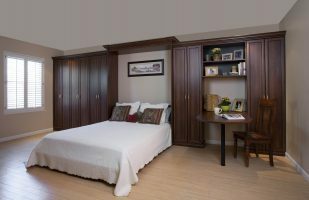 Made in Canada since 1975, Murphy bed hardware carries ISO certification giving you a peace of mind knowing that it gives you one of the best warranties in the industry. 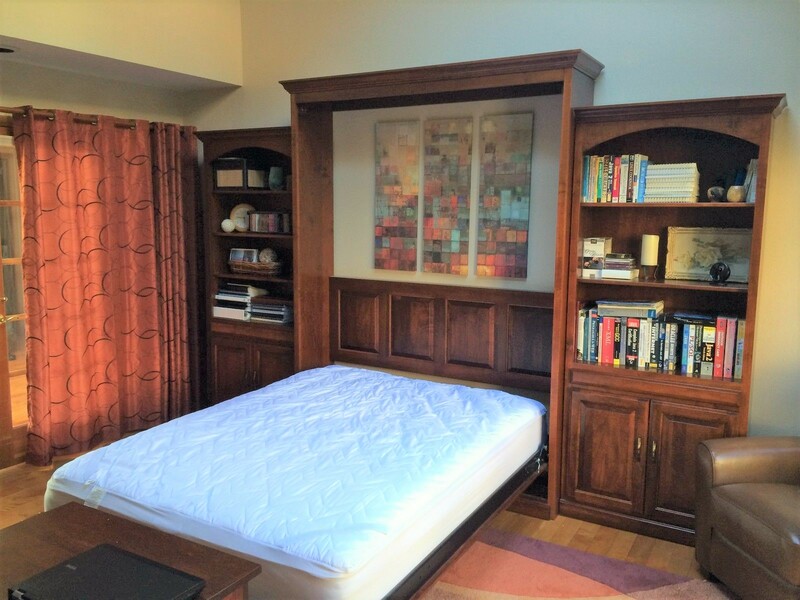 One of the best features about a Murphy bed is that you can use a standard spring mattress with the only limitation being that it be 10” in thickness or less. It is possible to increase the thickness of the mattress by upgrading to an extended leg allowing a 12” mattress. Some devious companies will try to sell you “special” mattresses designed only for their wall bed. Don’t be fooled by these companies since a true Murphy bed will take any spring mattress under 10 inches or 12 inches with extended legs. Space saving is really one of the hallmarks of Murphy beds. It’s the perfect excuse since the room you have one in, will have a dual use. For example, you can operate your office by day and by night, turn your office into a bedroom. Nowadays, most homes are limited in space so a Murphy bed is a great way of adding an additional bedroom not just for your family but for unexpected guests as well. Unlike days past, Murphy beds come in a huge selection of finishes and colours that will blend with any home’s style. From classic, contemporary, or even rustic, Murphy beds finishes are only limited by your imagination.